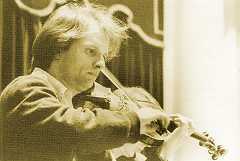 Jan Erik van Regteren Altena studied the violin with Jeannelotte Hertzberger and Herman Krebbers at the Amsterdam Muzieklyceum. He has been part of the Asko Ensemble since 1980, working with such composers as Carter, Ligeti, Stockhausen, Xenakis, Lachenmann, Andriessen and Lindberg. He is also a founder member of the Mondriaan Quartet, a string quartet specialising in music from the twentieth and twenty-first centuries. The quartet has given more than forty world premières since its inception in 1982, including works by Guus Janssen, Paul Termos, Chiel Meijering, Diderik Wagenaar as well as a commissioned work by Iannis Xenakis on the occasion of the Mondriaan exhibition in The Hague in 1994. 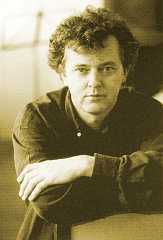 The Mondriaan Quartet took part in the 1997 Crossing Border Festival, joining forces with Van Dyke Parks. They collaborated with all the major dance companies in the Netherlands and with Anne Teresa de Keersemaeker for the film Hoppla! Jan Erik van Regteren Altena was one of the initiators of a Brian Wilson project. The Mondriaan Quartet has released discs with works by George Antheil, Alfred Schittke, Charles Ives and the song September on Jessor Road by Allen Ginsberg. The ensemble has also recorded works by Darius Milhaud, with pianist Stanley Hoogland and singer Irene Maessen. Van Regteren Altena has performed and recorded with the Schoenberg Quartet since 1988 as its regular second violist in works by Schoenberg, Martin, Richard Strauss, Schulhoff and Zemlinsky. Cellist Taco Kooistra studied with Jean Decroos at the Sweelinck Conservatory in Amsterdam. For two years he attended the soloists' class of Erling Bløndal Bengtsson in Copenhagen. He specialised in baroque music with Wieland Kuijken and in contemporary music with Siegfried Palm. For many years he was a member of such groups as the Asko Ensemble and the Nieuw Ensemble. He frequently performs as a soloist with orchestras and ensembles as well as being a member of the Dufy String Quartet and chamber orchestra Anima Eterna. Taco Kooistra plays much contemporary music and has premièred many works written specially for him. Since 1991 he has performed as supplementary cellist with the Schoenberg Quartet in works by Schoenberg, Richard Strauss, Schulhoff and Zemlinsky, including CD, radio and television recordings. He has recorded a solo CD for the Attacca label. Over the past years Kooistra has attended a number of conductors' courses led by Jorma Panula, who teaches conducting at the Sibelius Academy in Helsinki. He has subsequently conducted the Mikkeli Chamber Orchestra, the Vaasa City Orchestra and the Moscow Symphony Orchestra. Taco Kooistra plays a Pedrazzini cello which he acquired with help from the Thuis Kopie Fonds. The Dutchman Jan van Vlijmen can undoubtedly be qualified as belonging to a group of some of today's most important composers who trace their lineage from Bach by way of the Second Viennese School up through Boulez. His Sextet, written in 2000 and commissioned by the Schoenberg Quartet, demonstrates to what extent he is a part of this tradition. Moreover, one should note that no other work of comparable substance has been written for this group of instruments since Arnold Schoenberg's string sextet Verklärte Nacht, which dates from 1899 (! )-with the exception, that is, of Erwin Schulhoff's rediscovered Sextet, another work on this programme. A characteristic of Van Vlijmen's Sextet, which is over half an hour long, is that it is a true sextet and, therefore, not a "filled in" string quartet with the addition of two instruments in the lower register. While the interaction of two trios is a remarkable feature of Schoenberg's Opus 4, one is struck in Van Vlijmen's Sextet by the recurring presence of solos, duets, and trios-in every possible combination and to the extent that the guest players fulfil an extremely important role within the ensemble as a whole: a whole in which canons and inversion take centre stage and the time-honoured practice of writing counterpoint is flamboyantly paid homage. As the piece continues, the number of tutti passages increases, these culminating in fascinating episodes of a "coagulated" if not rigid character. The result is a fascinating alternation between moments of tension and release, which remind the listener not only of Van Vlijmen's string quartet Trimurti but of his monumental orchestral/vocal four-part Quaterni as well. Although no pauses delineate the various sections of the Sextet, the finale is by far the longest of these. The core of this complex, polyphonic movement, which is interrupted by numerous intermezzi, is made up of a menacing and regularly staggered unison theme. In terms of rhetoric, the music calls to mind Reger's titanic fugal finales, while the short and frenzied conclusion-preceded by an exquisite, desolate episode-could have served as the model for the conclusion of Berg's Opus 3. In contrast to Van Vlijmen's Sextet, the score of Valentin Silvestrov's First String Quartet, completed in 1974, looks anything but traditional. This work could never have been written without the examples of Ligeti, Lutoslawski, Cage, Feldman and other important post-war composers. This work, however, is just as traditional as Van Vlijmen's Sextet if not more so, albeit in a somewhat more concealed manner. By this, I refer not so much to the chorale-like theme-or better yet, the residue of a chorale-like theme that forms a framework for the whole piece and constitutes a thread that runs throughout the composition-but rather to the unique sonority in relation to the use of a language of expressive gestures. This sonority particularly involves the high registers of the various instruments as well as the way the thematic material is at times reduced to an exceedingly sparse gesture, comprising very few notes. Silvestrov's quartet, which is sometimes reminiscent of the sound world of Webern's Sechs Bagatellen, is similar to the last pages of Mahler's Ninth Symphony, a work in which the melodic development is progressively curtailed until, during the final measures of the closing adagio, nothing but the mere suggestion of a melody remains. The same is true for the chorale theme, which most resembles a last breath for which a prayer must be substituted at the close of Silvestrov's First String Quartet. This exquisite musical fragment by this unique Russian composer serves as a perfect example of sublimated nostalgia. Characteristic of Erwin Schulhoff's music is the saturated sound world and gestures of expressionism. The Sextet is undoubtedly one of his works that was most inspired by the Second Viennese School. The opening section immediately and almost involuntarily calls Alban Berg's name to mind-to such an extent as to imply that this score could have lain next to that of Berg's Lyric Suite. In reality, however, Schulhoff's Sextet dates from 1924 and the Lyric Suite from two years later. In any case, the similarity between the opening of Schulhoff's Sextet and that of the Presto delirando of the Lyric Suite is astounding, so much so that one is inclined to wonder if Berg was in some way familiar with the manuscript of the Sextet. Another connection to Berg is the free use of twelve-tone elements-the first movement again illustrating this perfectly, its opening theme containing all twelve tones. A three-year gap lies between the composition of this movement and the three that follow. During that period, Schulhoff concentrated on neoclassicism, as did many of his peers. Unlike many of his contemporaries, however, he successfully avoided a sterile and "cosmetic" style, provocatively combining expressionist, neoclassical and folkloristic ingredients and transforming these into a flamboyant whole. An unmistakable example is the short but rousing Burlesca, the third movement of the Sextet. Another matter altogether is the pre-eminently mysterious concluding episode of the finale, which could well have been written by Debussy.